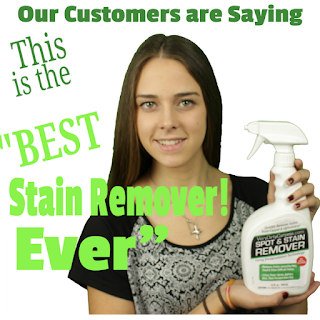 You never really notice how dirty something is until you clean it. The house we now live in does not have carpet but we do spend lots of time on your furniture in the living room. We are a family of 5-plus 2 inside dogs, 1 outside dog, a cat, 30ish chickens and a partridge in a pear tree. We spend lots of time as a family in our living room area. After all it is a "living room", the kids watch TV, play games, sleep, eat, drink and pretty much spill things often. 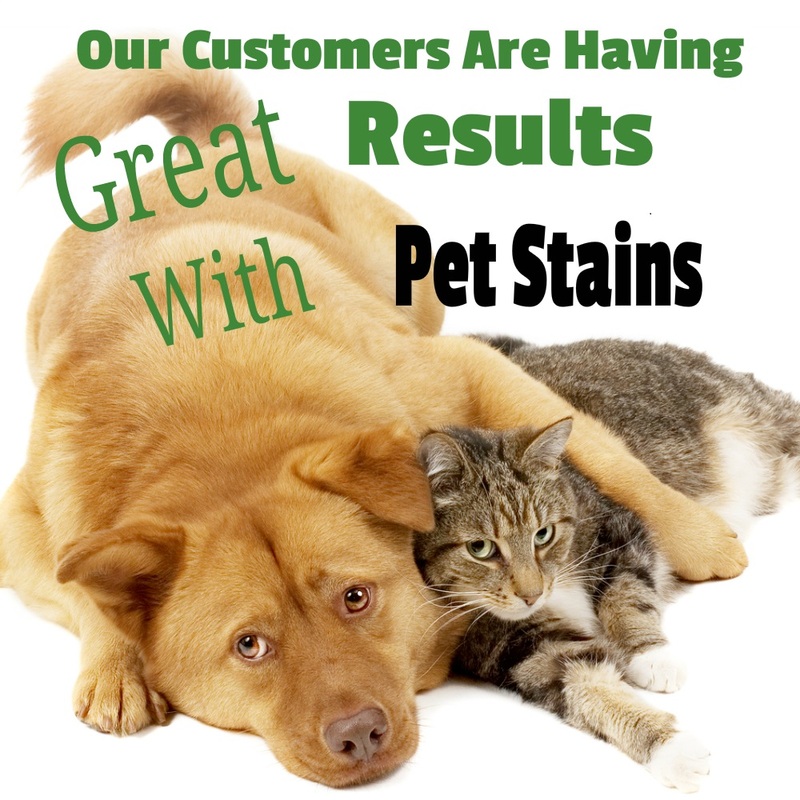 The pets add stuff of their own-doggie odors, dirt, and the occasional oopes! Here is more about my experience with the product. It was shipped to me via amazon, it arrived in a very times manner and was well packaged. 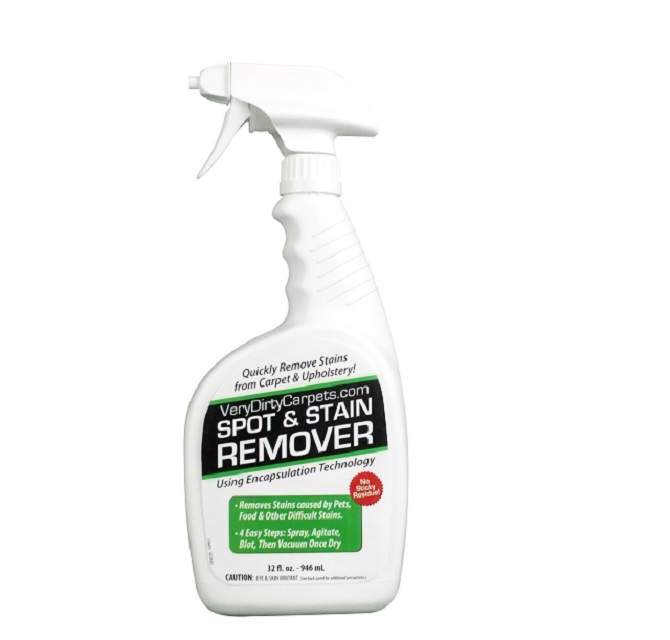 The product is packaged in a 32 fl oz/946 ml easy pull spray trigger bottle. The design on the bottle is simple and not over the top, very clean looking. Getting down to the dirty, I got all my stuff together is morning to test it out. The couch cushion has met its match! I could see before I started there looked to be some spillage. I would NOT believe the amount of nasty grime that came off with little effort. The Very Dirty Carpets spray has a very pleasant scent that is not over powering or chemical, to me it just smells clean-no after smell. Needless to say I am very impressed with the ease and quickness that it worked. 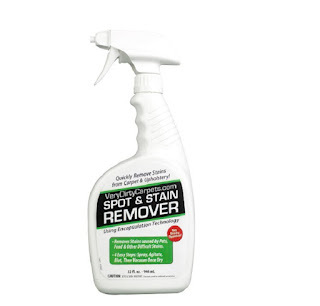 I would like to point out that yes I am in total embarrassment and disbelief of what I seen this awesome spot and stain remover do. 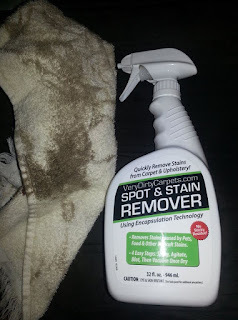 If you have not already guessed, my children will have a very busy weekend cleaning with Very Dirty Carpets I think I may need a few gallons more. emerge over the next week or two. Website Support with information and frequently asked questions to help you get the most out of your product.